From Roman’s mom: Roman was diagnosed with Acute Megakaryoblastic Leukemia (AML M7) in August 2013, just before his 2nd birthday. This was a huge shock to our family. He immediately began 5 months of treatment consisting of an intense chemotherapy regimen, bone marrow biopsies and surgical procedures. All of his treatment was inpatient so we moved in to Golisano Childrens Hospital, all while my husband worked to pay our bills and keep our house standing. 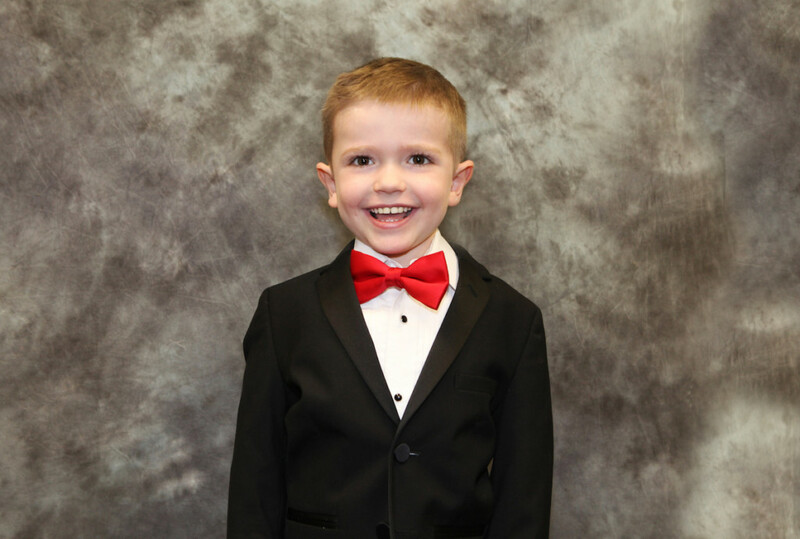 Roman’s chances of remission were incredibly slim and while in treatment he fought off life threatening illness and infection. Despite all the odds against him, Roman kept his superhero spirit and happy disposition. On December 30th,2013 Roman was declared in remission, meaning there were no cancerous cells present any longer in his blood. After continued blood work and check-ups bi-monthly since then, Roman continues to be in remission and living life like any other 4 year old. When Roman was sick it was hard to let anyone new into our lives; we were overwhelmed and terrified. We were approached by our social worker raving about this new organization that had impressed her and may be willing to help us, IACKids. It took until November for us to work up to calling and asking for help. We weren’t sure what help we needed, we were coming to the end of treatment, and had to prepare our house for an immune compromised child AND a baby that was due in January. Roman was supposed to be finished with treatment just before Thanksgiving and there was no way we could have done a dinner ourselves, so they came to our house and delivered us a full Thanksgiving meal. Shortly after Roman was readmitted for an illness, getting home just before Christmas. Again, they were at our door with gifts for our family and best of all a HUGE gift for Roman (in the eyes of a 2 year old) making his day. From there we have formed a fabulous friendship. They have been a part of our celebrations, holidays, birthdays and everything in between. They have been there spoiling both of our sons, making them feel important and giving us a support system we never could have anticipated. We can never pay back the generosity and kindness they have shown us. Thank you IACKids!!! !